Location for both events: Oxford University Club, 11 Mansfield Road, Oxford, OX1 3SZ. Note: everyone welcome including non-club/non-university members. Join our dance session for contact improvisation ('a jam') with a musical accompaniment. Contact improvisation is a dance which originated in the 1970’s and which has now spread throughout the world. It’s often taught in university dance courses but it’s easy to learn and fun. It’s an improvised dance – a dialogue in movement – which has a fluid and dynamic form. Please wear loose clothing and bring a water bottle. Note: Non-university members welcome. 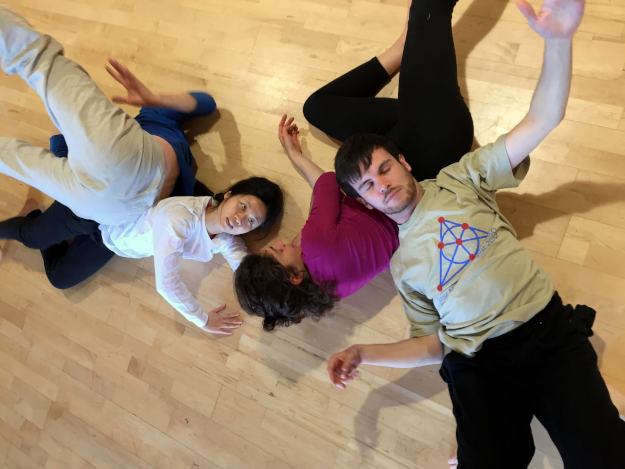 Join these drop-in classes for dancing contact improvisation – suitable for beginners and experienced dancers located at the University Club, Oxford. All welcome. You can expect body work, games, technique and creative dance in our classes. Be prepared to move and to enjoy moving together with others in contact. March events. Wednesday 6, 20, 27 & Sunday 17 March. Location for all events: Oxford University Club, 11 Mansfield Road, Oxford, OX1 3SZ. Note: everyone welcome including non-club/non-university members. Join our dance session for contact improvisation. On We'll have an introduction and then dance to music for the remainder of the evening. We will have a silent jam - no musical accompaniment. We will be joined by Yi Quing who taught at our workshop in December last year. To honour her second birthday then all participants are invited to a birthday dance with her at some point in the jam. Please wear loose clothing and bring a water bottle. Note: Non-university members welcome. Contact improvisation is a dance which originated in the 1970’s and which has now spread throughout the world. It’s often taught in university dance courses but it’s easy to learn and fun. It’s an improvised dance – a dialogue in movement – which has a fluid and dynamic form. Please wear loose clothing and bring a water bottle. Location: Oxford University Club, 11 Mansfield Road, Oxford, OX1 3SZ. Note: everyone welcome including non-club/non-university members. To start the month, we have a jam (dance session) for contact improvisation on February 6. Thereafter, join our drop-in weekly classes for dancing contact improvisation – suitable for beginners and experienced dancers located at the University Club, Oxford. All welcome. You can expect body work, games, technique and creative dance in our classes. Be prepared to move and to enjoy moving together with others in contact. 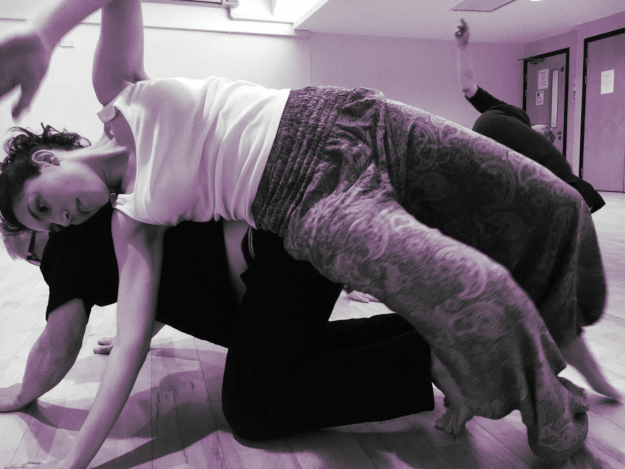 Beginning Contact Improvisation introduces you to partner dancing which is both fun and great exercise: a fluid and dynamic dance suitable for everyone. You don't need to bring a partner. In this course, we'll use bodywork, learn technique, play games and dance ('jamming'). Contact improvisation is social dancing – a dialogue in movement – which originated in the 1970s and which has now spread throughout the world. Unlike other dances which are solely walked dances, contact improvisation includes floor-work and movement in a 'playful physics'. Let's surprise ourselves and celebrate moving. Please wear loose clothing and bring a water bottle. See events in 2018 and before.